In this episode, Dr. Elana interviews a special guest and a dear friend of hers, homeopath Gabrielle Traub. We chose Gabrielle to come on today's show to shed light on the benefits of homeopathy for women trying to conceive, during pregnancy, labor, and postpartum. Whether you are already using homeopathy and interested in learning more, or you are brand new to this natural medicine and interested in expanding your toolbox, this episode is for you! Gabrielle shares clinical pearls and some of her favorite remedies you want to have on hand. Look out for Gabrielle’s new book on Homeopathy that will be coming out in April. How does homeopathy benefit women who are trying to conceive, pregnant, or postpartum? In this episode, we interview Arianna Taboada, a maternal health consultant. Arianna helps mamas and mamas-to-be customize their plan for maternity leave and return to work. We have an honest conversation about our struggles as new moms navigating work and family, how we transitioned back to work, and ways to make this transition (and postpartum, in general) easier for new mamas! Arianna is a maternal health consultant who works with experienced entrepreneurs who are becoming first time mothers, helping them customize their maternity leave plan and return to work. She is deeply committed to providing on-going, multi-faceted support that meets the professional, physical, mental, social, and emotional needs of entrepreneurs as they babyproof their business and navigate new motherhood. Prior to her consulting practice, Arianna worked on maternal health issues for over a decade as a health educator, a social worker in a mental health clinic, a reproductive health researcher, and a yoga therapist. She draws from her expertise as a maternal health professional, combined with her experience as a business owner and mother, to provide highly personalized services so expecting entrepreneurs have the tools and information they need to make decisions and take action when it comes to balancing their business with a new baby. In this episode, we have two special guests, our husbands!!! They’re here to share their stories of what it was like for them to be at our births, surprises they encountered, and advice for fathers-to-be. Our husband’s opinions about home births. What it was like to be present at our home birth. What emotions they experienced before, during, and after our birth. What surprised them about our births. In this episode, Stephanie interviews Emily Pardy, a marriage and family counselor and the founder of Ready Nest Counseling to discuss challenges many new parents experience. Emily identifies various life adjustments, emotional challenges, and relationship struggles that may occur once baby is born. You’ll leave this interview with simple, actionable steps to gracefully navigate some of these changes. You’ll also learn where to go for more information and support, should you choose to be proactive or if you’re currently experiencing these issues. In this episode, Dr. Elana shares her birth story with us. She discusses what she did to prep for her pregnancy and labor. She takes us through the ups and downs of the actual birth. Dr. Elana highlights how she overcame tough times and shares tools that helped her have the un-medicated birth she had envisioned. The birth, from start to finish! What Dr. Elana would do differently next time. Lessons learned and healing after the birth. In this episode, we introduce Dr. Elana Roumell, ND, the new co-host. Stephanie is excited to bring on a naturopathic doctor to the podcast to help educate and empower parents with even more information! Stephanie and Elana have been friends for years, helping one another through pregnancy, postpartum and raising healthy families. The two of them together are truly REAL FOOD MAMAS on a mission to share, inspire and empower!! 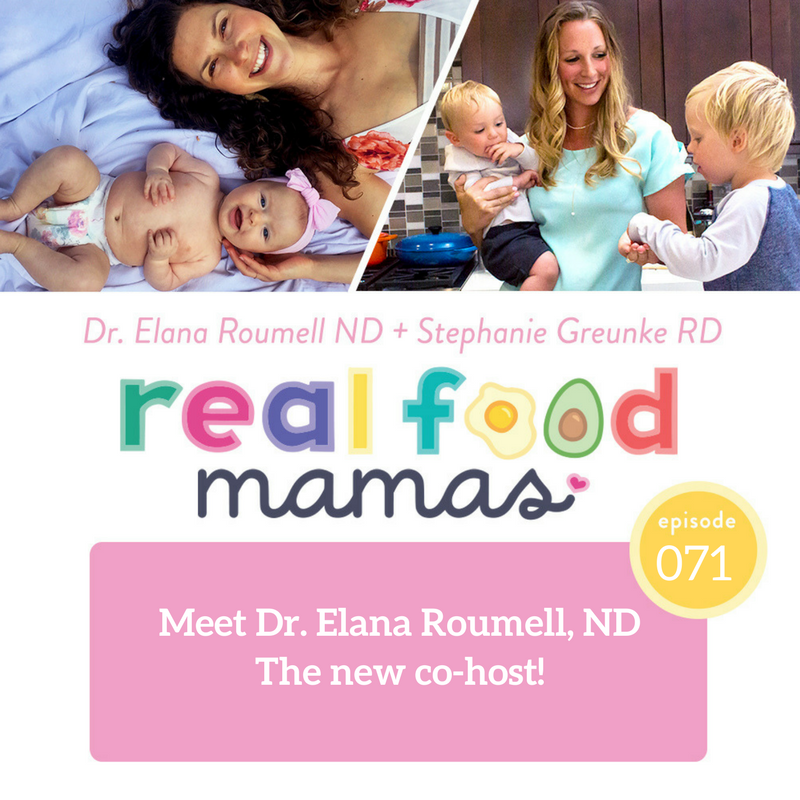 Stephanie introduces Elana to the Real Food Mama community and we get a sneak peak into who she is and how she is going to contribute to the community! Why she became a Naturopathic Doctor. Why she opened up Nourish Medical Center. What inspired her to create the Nourish Kids Medicine Kit and Ebook! What she's most excited to share with listeners by joining the podcast. Some of her other passions. In this episode, we say goodbye to Aglaée and talk about the future of the podcast (don't worry, Steph is staying!). Aglaée shares about the many big transitions she's going through in her life and shares updates about nursing / weaning, sleep, and her upcoming move. 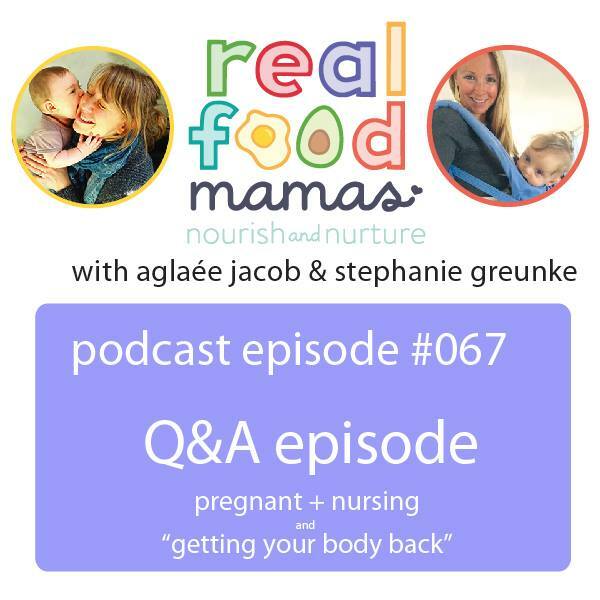 In this episode, Stephanie and Aglaée answer two of your questions! In this episode, Stephanie interviews Leanne Vogel from Healthful Pursuit to discuss the keto diet for women. Leanne shares her story about how the traditional ketogenic diet didn't work for her body and how she modified the program to improve her hormones, mental health, and overall wellness. Join us as we discuss how to modify the traditional ketogenic diet for women, Stephanie's experience with a fat-fuel approach while nursing, and so much more! 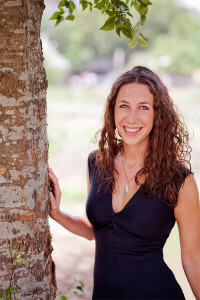 Leanne Vogel is the founder of Healthful Pursuit, best-selling author of over 11 health programs, host of The Keto Diet Podcast, author of the bestselling paperback, The Keto Diet, and the creator of Fat Fueled living - a holistic, paleo-friendly approach to a ketogenic, high-fat diet. She has been in the field of nutrition since receiving her holistic nutrition certification in 2007. Leanne shares free videos, podcasts, recipes and keto-friendly resources on her blog, healthfulpursuit.com. *Good until August 7th, 2017. After the 7th you'll still get 15% off. In this episode, Stephanie interviewed Serenity and Joe from Serenity Kids, an innovative new baby food company. Serenity Kids offers convenient, shelf-stable baby food pouches that contain healthy animal fats and protein and are low in sugar. Join us as we discuss the fundamentals of baby nutrition, my son's experience using their products, and so much more! Note: At the time of this recording, Leo was just being introduced to solids and was struggling a bit with a strong gag reflex. He's doing much better now (at 9 months) and can handle a larger variety of food and textures. Hi. I'm Serenity. My partner Joe and I started Serenity Kids because we wanted only the best for our future baby. We couldn't find a baby food high in healthy fat and protein, and we saw how difficult it was for our friends who cook all of their baby's food. We were shocked by the amount of sugar in most baby foods, because sugar (even from fruit) creates inflammation which leads to health problems and can make a baby fussy from the blood sugar crash. So we partnered with small, American family farmers to create a delicious baby food that contains meat from animals raised humanely, on pasture, without hormones, antibiotics, or GMO feed. Pastured meats benefit the animal, the family farmers, and the planet. The best part is that they're better for your baby because they have a much higher Omega-3s and CLAs than grain-fed meats. We blend these meats with high-quality organic vegetables to create balanced, nourishing meals. Serenity, for the whole family. In this episode, we answer two of your questions! Tune in to hear our take on vitamin D supplements and bathing your baby. Vitamin D supplements - what to look for, our favorite brands, how much to take, and blood testing. In this episode, we answer two of your questions! Tune in to hear our take on finding your ideal birth provider/birth setting and how to optimize your hormones in the postpartum period. In this episode, Aglaée interviewed Dr. Pauline Dillard, Ph.D. to discuss birth trauma. This episode is a must listen whether you've had a birth trauma or not because it is something that a significant number of women unfortunately still experience today. We need to be able to either heal from it or support those around us that needs healing. Dr. Pauline Dillard, Ph.D. was a childbirth educator and labor coach for 12 years before completing her graduate studies in Christian Clinical Psychology. She has studied trauma following Cesareans, Post Partum Mood disorders and new parent adjustment disorders. She is the founder and Executive Director/CEO of Dunamas® Center Ministries in Colorado Springs, CO. She has developed a model for healing Birth Traumatomology Syndrome (BTS), by looking at its causes, prevention, and healing. She has a heart for people to connect with Jesus in a way they never have before in order to bring healing to damaged hearts, marriages, and births. Dr. Pauline's book: Won't Somebody Please Hear Me? In this episode, Stephanie interviewed Dr. Low Dog, M.D. to discuss supplements for pregnant and postpartum mamas. 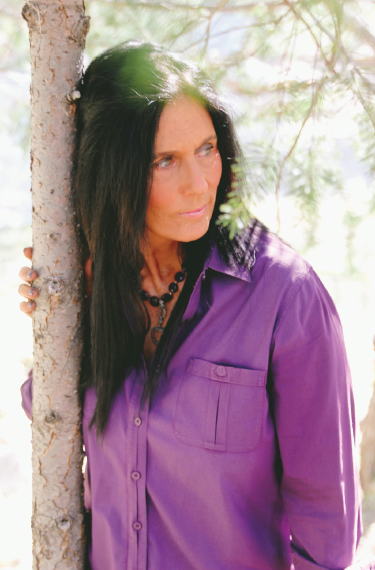 Tieraona Low Dog, M.D.’s exploration of natural medicine began more than 35 years ago as she studied midwifery, herbal medicine; massage therapy and martial arts before earning her medical degree from the University of New Mexico School of Medicine. An internationally recognized expert in the fields of integrative medicine, dietary supplements and women’s health, Dr. Low Dog was appointed by President Bill Clinton to the White House Commission on Complementary and Alternative Medicine Policy, served as the elected Chair of the US Pharmacopeia Dietary Supplements and Botanicals Expert Information Panel, and was appointed to the Scientific Advisory Council for the National Center for Complementary and Integrative Health. She has been an invited speaker to more than 550 scientific/medical conferences, published 40 peer-reviewed articles, written 22 chapters for medical textbooks, and has authored five books, including three National Geographic books, Fortify Your Life, Healthy at Home and Life is Your Best Medicine. She has appeared on CNN, ABC’s 20/20, and is a frequent guest on the Dr. Oz show and NPR’s The People’s Pharmacy. She currently serves as the Fellowship Director for the Academy of Integrative Health and Medicine. 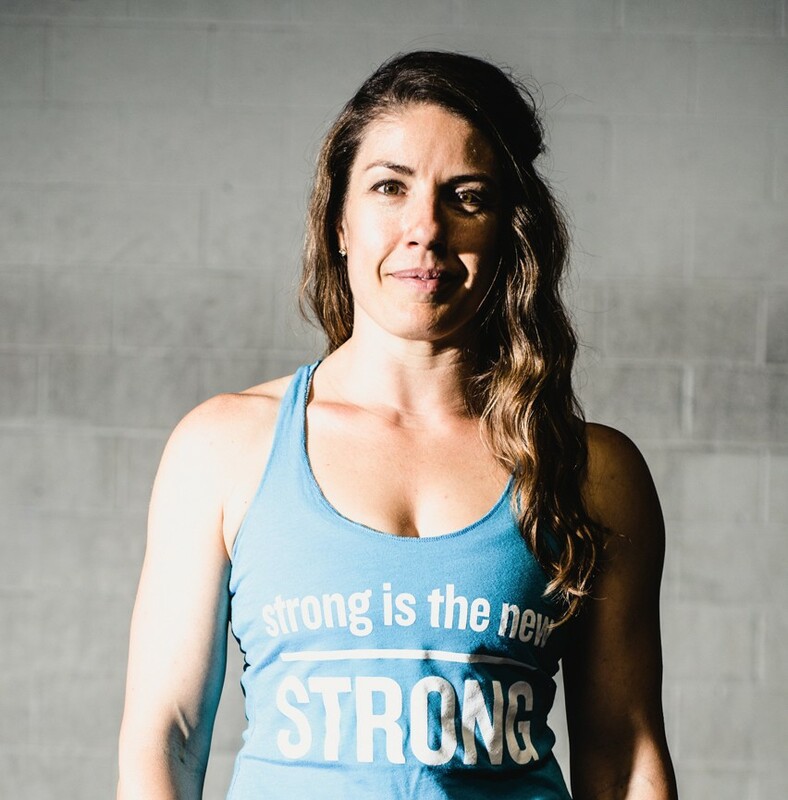 Steph Gaudreau is a certified holistic nutrition practitioner, weightlifting and mindset coach, and the author of the best-selling Performance Paleo Cookbook. She's also the creator of the Women's Strength Summit. Her recipes and expert advice have been featured in SELF, Outside Magazine, Elle, and Greatist. Steph loves barbells, cats, and anything Lord of the Rings. She lives in San Diego, CA. In this episode, we answer your questions about homebirths. In this episode, Stephanie shares her second home waterbirth story. She discusses how her second home waterbirth went, how it was different than her first, things she learned the second time around, and advice to mamas getting ready for the big day whether they’re planning on giving birth in the hospital or at home. The next episode will cover Q&A's about homebirth from our listeners! In this episode, Aglaée interviews Tatiana Amico. Listen as they talk about her story of breaking free from chronic dieting and disordered eating, how becoming a mom was a turning point for her, how to keep things simple in the kitchen, and her favorite tips to get tons of nutrition. Tatiana Amico is a Health Coach and Business Mentor empowering women to take control of their health and life. After saying goodbye to her corporate job, she enrolled in the Institute of Integrative Nutrition. Now, Tatiana works with women who want to stop complaining, start taking action, and love themselves completely. 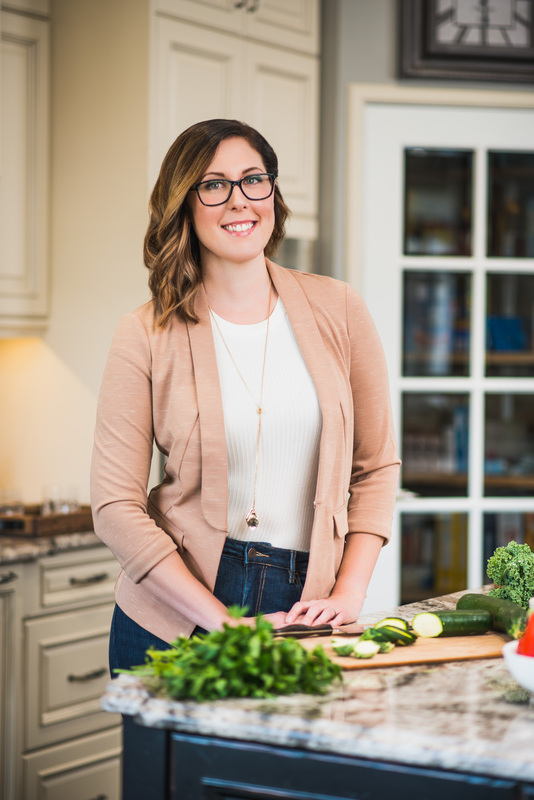 Aglaée interviews the holistic nutritionist, Kate Callaghan, to talk about how eating well, training smart, and being kind to your body can help you achieve hormonal balance, better health, and more happiness. In this interview, Kate shares her story with hypothalamic amenorrhea and why she's so passionate about hormonal and women health. She tells us how she healed her hormones naturally, talks about the most common mistakes she sees women make with their food and training, and explains the strong connection between the gut and our hormones. Stephanie interviews Dr. Lindsey Mathews, D.C., BIRTHFIT founder, about the four pillars of BIRTHFIT (fitness, nutrition, chiropractic, and mindset) and how each of these pillars helps moms prepare for birth and postpartum. You'll learn how to take charge of your body and your decisions so you can have a more empowered pregnancy, birth, and postpartum. This interview is real, raw, and gets straight to the point. You'll walk away with actions steps that you can implement today to have a better birth. Dr. Lindsey Mathews, DC is the founder and CEO of BIRTHFIT. 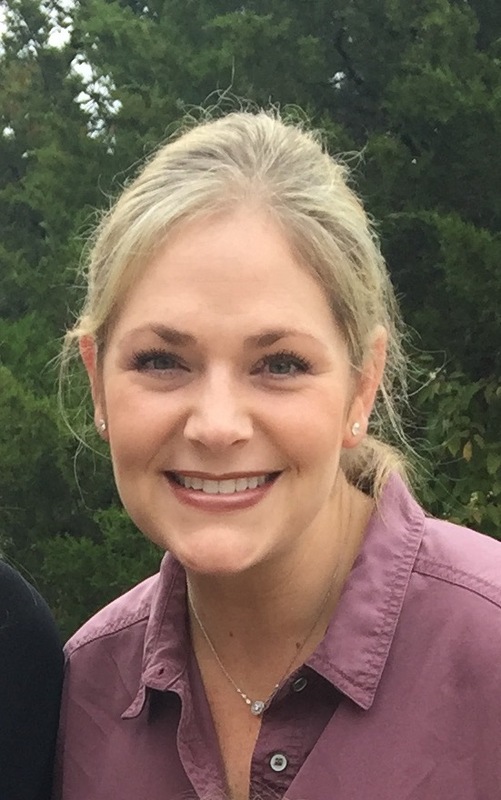 Lindsey is a chiropractor that specializes in the biomechanics and movement patterns of the human body, while also restoring mechanical integrity of the nervous system. Dr. Lindsey believes that we are born to move and that movement is life. On the field, behind the screen, and everyday, Dr. Lindsey has witnessed the endless capabilities of the human body. 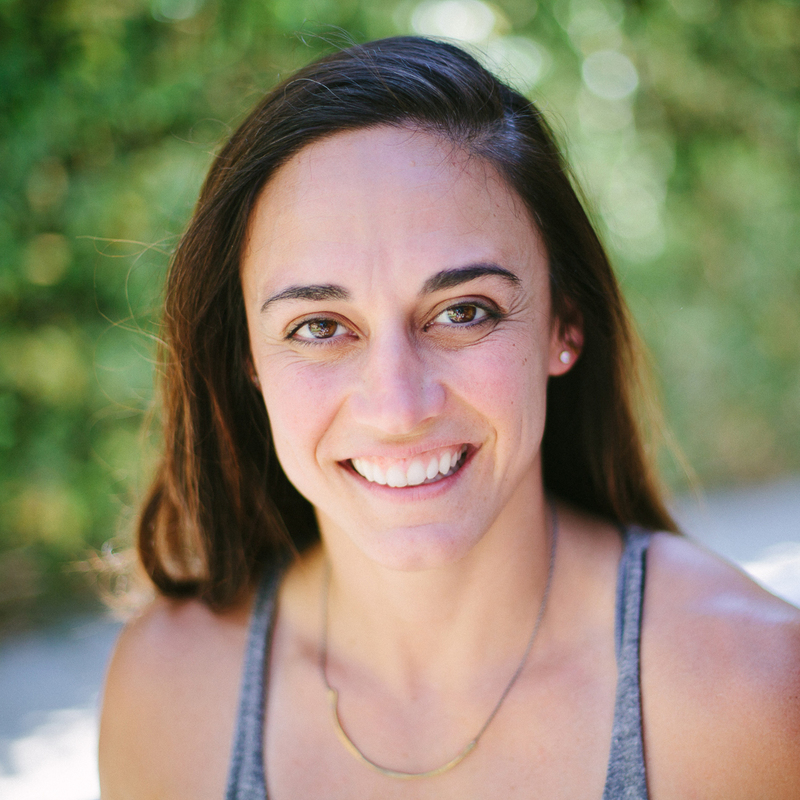 Her path has lead her to her Venice, CA, where she leads BIRTHFIT HQ, practices chiropractic, and coaches at DEUCE Gym, a strength and conditioning school. Lindsey believes that discipline is freedom and that showing up for your self is the most important first step. Dr. Lindsey was born to lead BIRTHFIT, a rockstar movement aimed at educating and empowering women through their motherhood transition. Join Stephanie as she interviews Elizabeth Quinn, mom of four and ICAN chapter leader, to discuss vaginal birth after cesearan (VBACs). You'll be inspired by Elizabeth's story and learn about VBAC safety, concerns, preparation, and strategies for healing physically and emotionally from your past birth(s). She also shares her favorite resources to help moms learn about their options and provides advice on finding a supportive provider. Elizabeth Quinn and her husband, Percy are raising their children in Jackson, Mississippi. 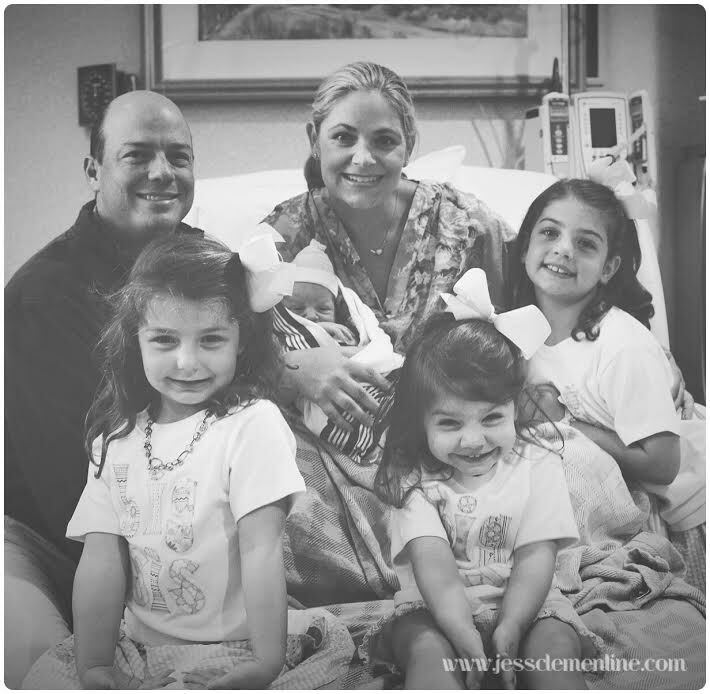 They have four children: daughters Chesley, 7 years old, Anders 5 years old, and Adella 2.5 years old and they just welcomed their son on July 1, Sims McCallum. Elizabeth had a unnecessary section with her first child and a repeat section with her second before finding ICAN. It was with the support of her ICAN chapter that she went for and achieved a vba2c with her third and fourth children. She is chapter leader of ICAN of Jackson, Mississippi and active in the birth community there.